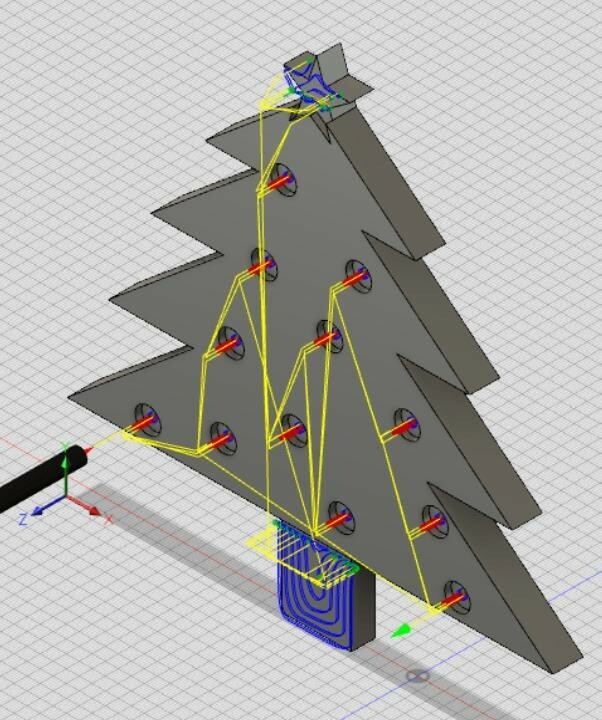 Christmas Ornaments - Zen Toolworks, Inc.
Hello again! 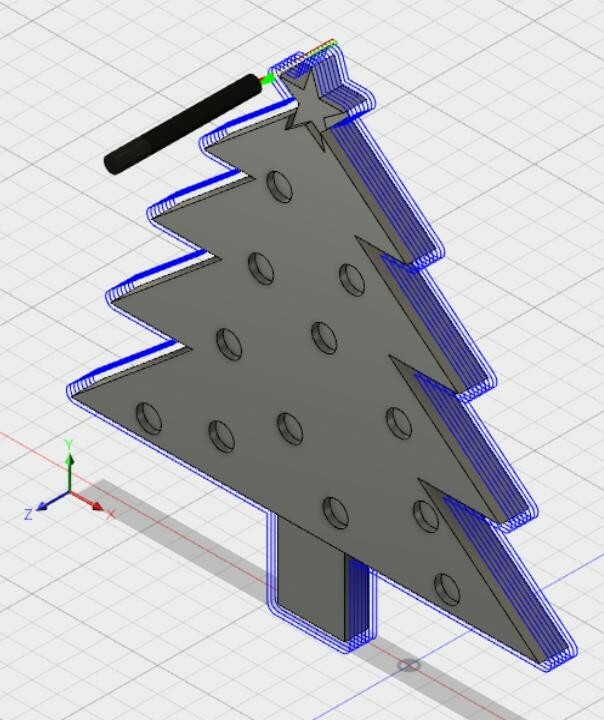 Since we are now in the midst of the holiday season, in this blog post I will show you how to make some different Christmas ornaments with the Zen Toolworks 7×12 CNC Machine. 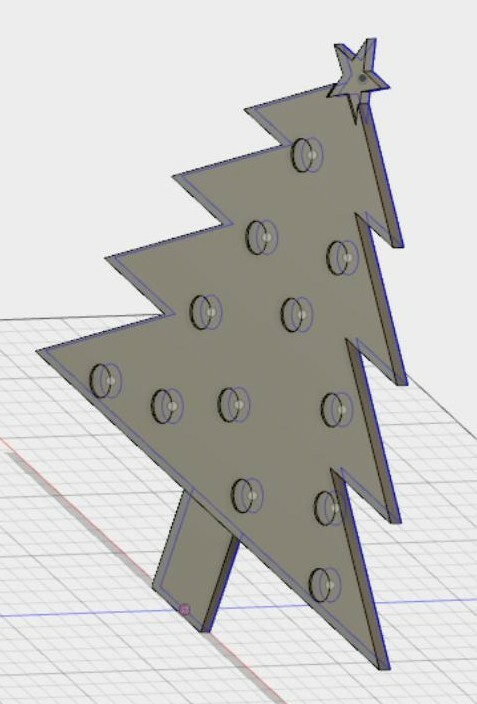 I designed three ornaments: a candy cane, Christmas tree, and snowflake. As you will see, things don’t always go perfectly, but that’s a good thing sometimes since we all need to learn from our mistakes. To start, select File -> New Design. Select Sketch -> Create New Sketch and click on the XY plane. 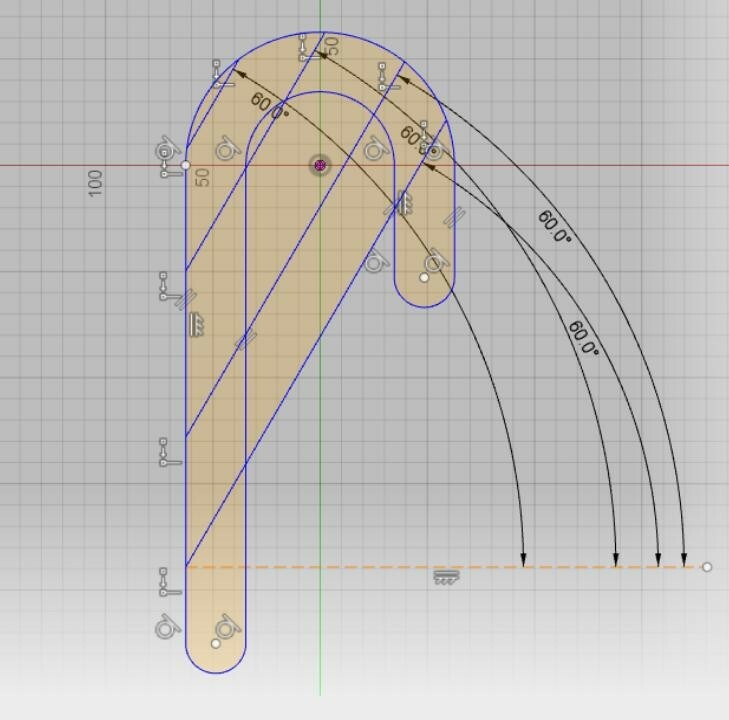 Select Sketch -> Arc -> Center Point Arc. This tool will be used to create the curve of the candy cane. Select the origin as the center point, then create a 180 degree arc. Start from an axis on one side of the origin moving to the other side of the origin. Repeat the process again, with the same center point, but make the arc with a larger radius. 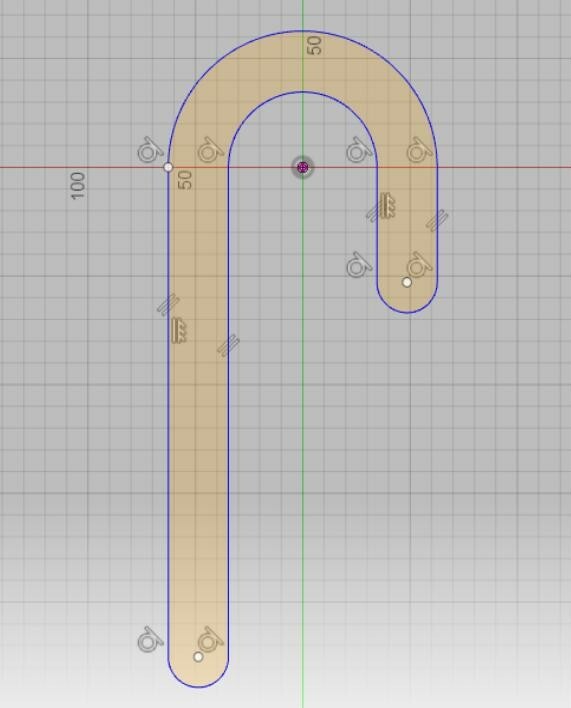 After you have made the curve, create the straight lengths of the candy cane by selecting Sketch -> Line. Click on each of the endpoints and create a line moving directly down from each end point. The cursor should snap to a line that is at the correct angle from the arc. Also, when you create the second side of each straight length of the candy cane, you can match their lengths by starting a line at the endpoint of an arc, then mousing over the end point of the first side and following the line it snaps to until it is in line with the arc you started from. 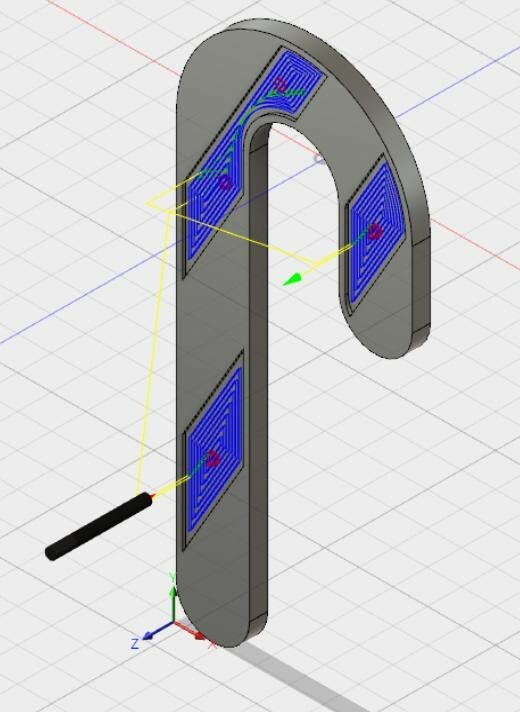 To make the ends of the candy cane, select Sketch -> Arc -> 3-Point Arc. Select each of the endpoints of the sides of the candy cane and then select a third point to be the height of the arc. Make the stripes by selecting Sketch -> Line. I selected points on the outside of the longer side of the candy cane as the start points for the stripes. When the line is started, type an angle into the correct box and press enter to lock in the value. I chose a 60 degree angle for my stripes. Snap your cursor to the other outside line of the candy cane. Do this twice for each stripe. Remove the extra lengths that you no longer need by clicking Sketch -> Trim and clicking each of the lengths that are unnecessary. 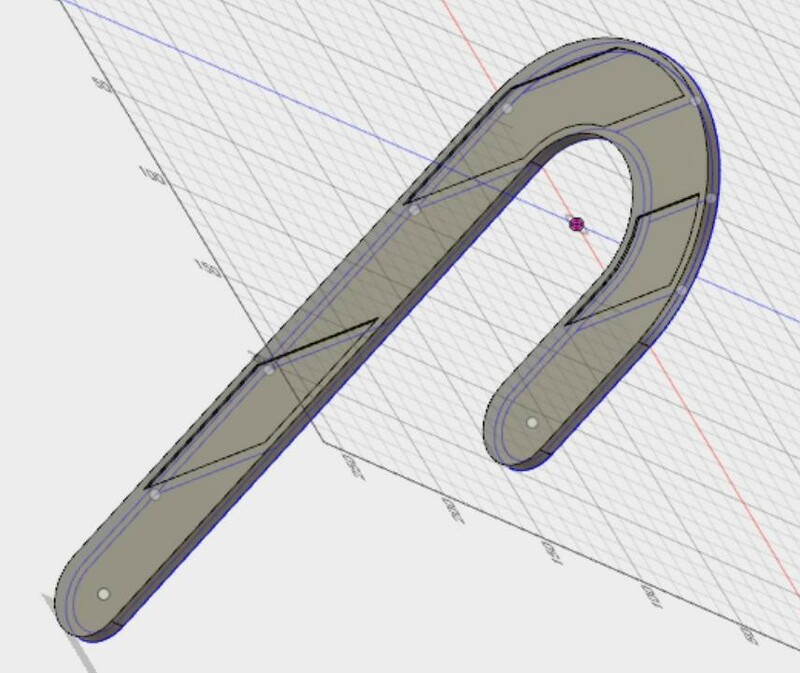 Make an outer rim for the candy cane by selecting Sketch -> Offset, then select the outer rim on one of the straight lengths, and click a small distance away from the edge. Now that the sketch is complete, select Stop Sketch. First, select Modify -> Press Pull. Then select all of the parts of the candy cane that are not a stripes except the rim. Type in the height of the ornament. I chose to make it as thick as my material. Repeat this again with the rim. If you select all of the nonstripe parts including the rim, the extrusion will fail because of the strange shape of the rim. Now, the sketch will have hidden itself after the first Press Pull. To show it again, select Sketches and click on the light bulb next to the sketch of the candy cane. After that, select Modify -> Press Pull and choose all of the portions of the model that are stripes. Type in the height of the rest of the material, but subtract one millimeter. This will make it so that the stripes are in contrast with the rest of the piece. Make sure that the scale is correct. If not, select Modify -> Scale to change it. In the Tool tab, I chose to use a 1/8″ flat endmill since it could cut through the wood very quickly. In the Geometry tab, I selected the faces of each of the pockets. In the Passes tab, I set the Maximum Stepover to 1 mm to make the surfaces smooth, and I set the Maximum Roughing Stepdown to 0.75 mm. In the Geometry tab, I selected the outer rim. In the Passes tab, I selected Multiple depths and changed the Maximum Roughing Stepdown to 0.75 mm. Final product. If I had had one more finishing pass, the edges would be cleaner. I started out by making the star on the top of the tree. Select Sketch -> Polygon -> Inscribed Polygon. Create a center on the origin, and then change the number of sides to 5, and click again to make a pentagon. The width of the circle will be the length of the legs of the star. I put one of the corners on the Y-axis. After you make a pentagon, select Sketch -> Line and create lines between each corner of the pentagon. Use the Sketch -> Trim tool to take out the unnecessary lines of the star. After the star was finished, I made the rest of the tree. I just made one side of the tree and the flipped it to create a full tree. I first drew a line down the center of the sketch, then used Sketch -> 2 Point Rectangle to make the trunk of the tree. After that, I used lines to make the leaves of the tree. Make sure that when you slant them up to create the different layers of the tree, you use the same angle. After one half of the tree was done, I selected Sketch -> Mirror. Highlight all of the lines and points, then deselect the center line. Click on the box marked Mirror Line and select the center line. Make sure that the mirror line is not selected for the other part of the design. 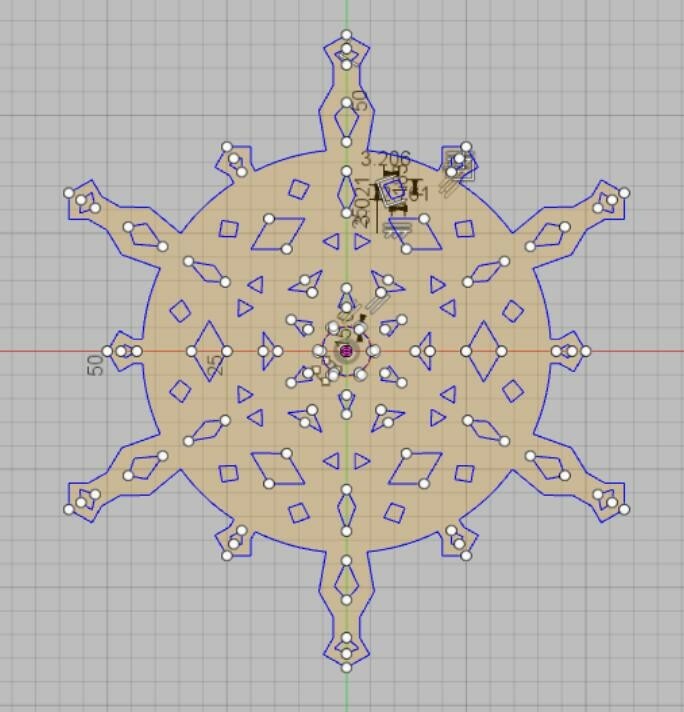 Once you have a full Christmas tree and trimmed the extra lines, I created ornaments by selecting Sketch -> Circle -> Center Diameter Circle. I made sure that all of the circles were the same size by using the same diameter for all of the circles. Select Modify -> Press Pull. 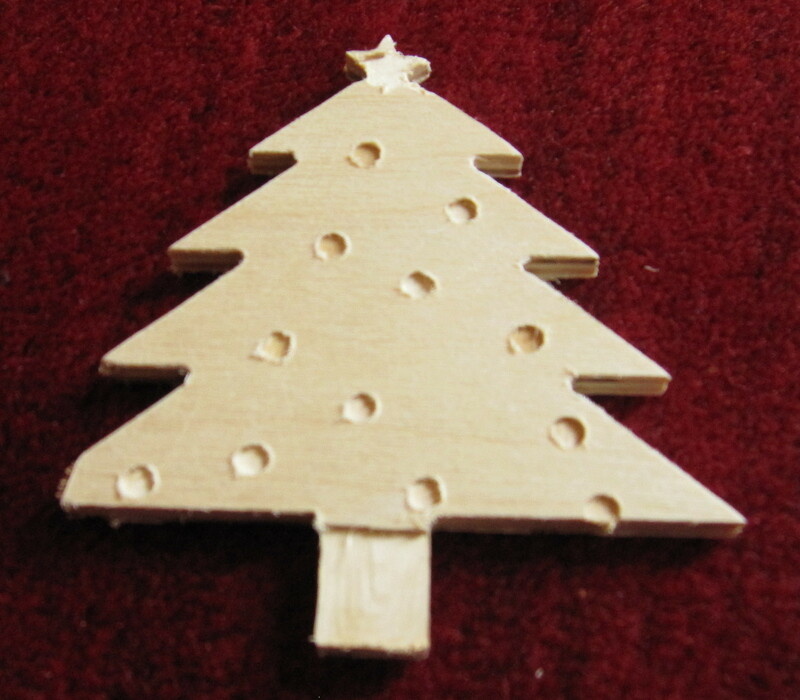 Then select the main part of the Christmas tree. Type in the height of the ornament. I chose to make it as thick as my material. Now, the sketch will have hidden itself after the first Press Pull. 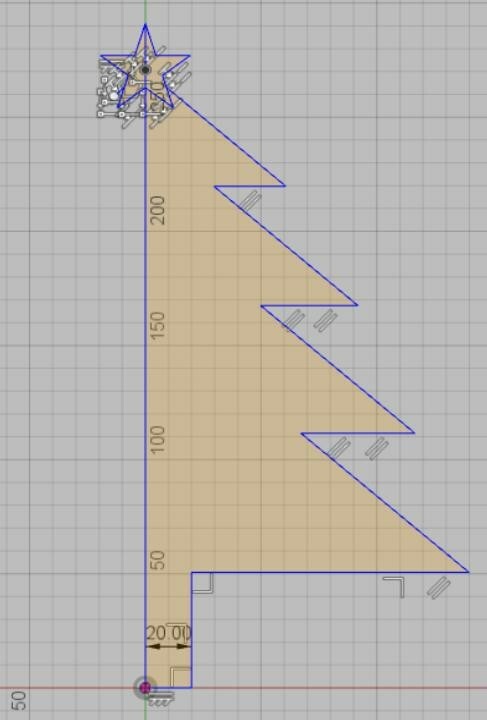 To show it again, select Sketches and click on the light bulb next to the sketch of the Christmas tree. After that, select Modify -> Press Pull and choose the portions of the model that have not been extruded yet. Type in the height of the rest of the material, but subtract one millimeter. This will make it so that the there will be contrast between the different parts of the piece. 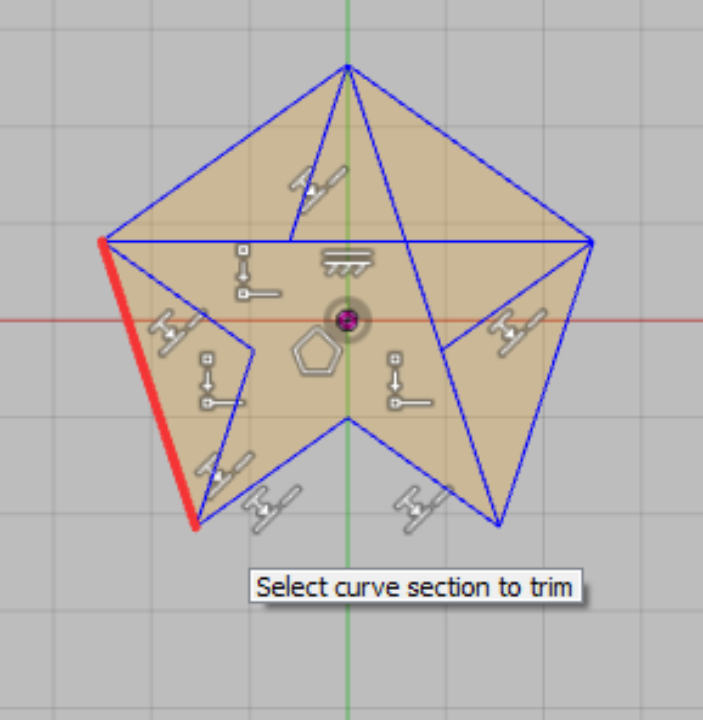 In the Geometry tab, I set the Machining Boundary to Silhouette and Tool Containment to Outside the line so that the star would be completely cleared. 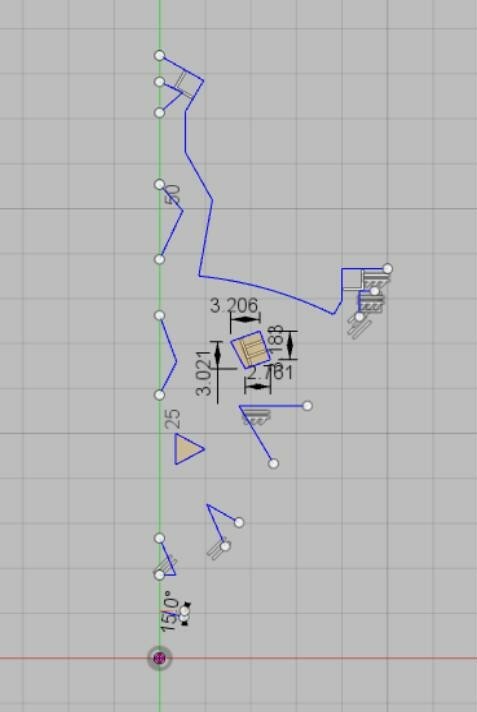 In the Passes tab, I set the Maximum Roughing Stepdown to 0.75 mm, so that the path could be done quickly. 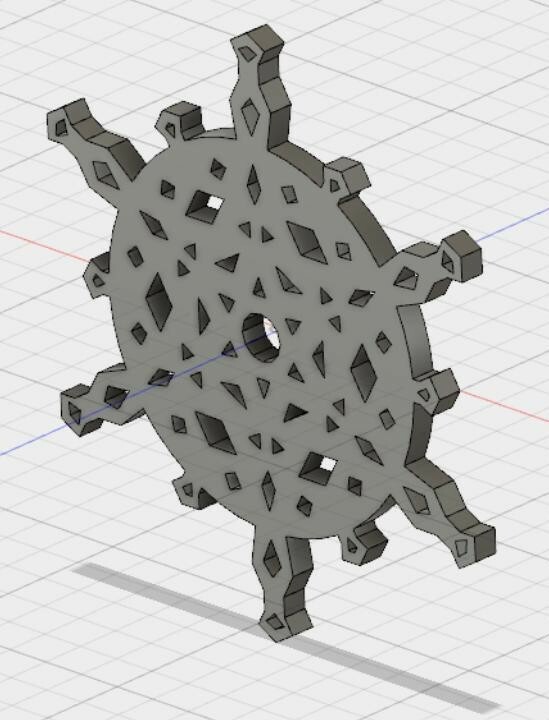 In the Linking tab under Ramping, I changed the Helical Ramp Diameter to 1 mm so that the bit could clear out the pockets of the ornaments. In the Geometry tab, I selected each of the lines that make up the outer rim. Finished piece. 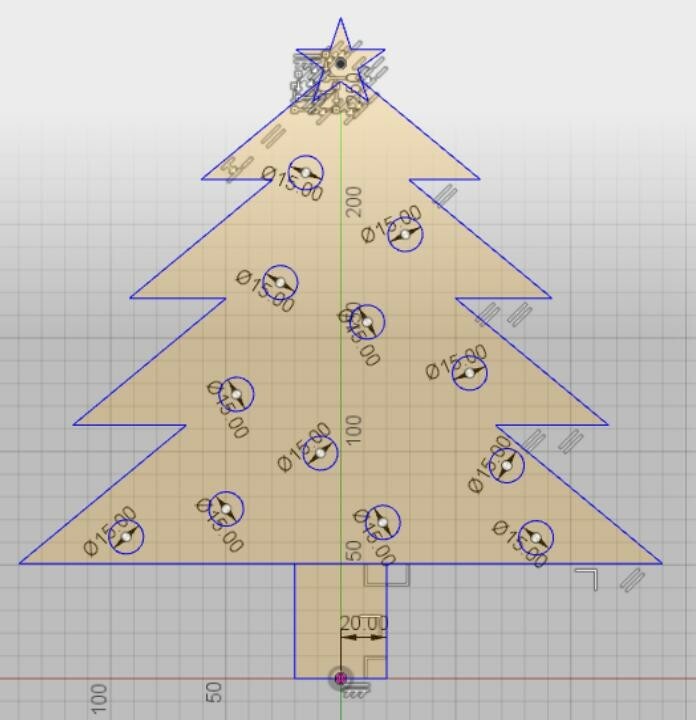 Because I started the wrong toolpath, the corners of the tree on the left side of the tree were cut off, and the location of the contour was shifted, which then cut off the star and an ornament, and failed to cut the trunk correctly. Here is a short video of the toolpath being run. If you remember making snowflakes in kindergarten, the method that is used is to fold a single piece of paper into a triangle. When the cut triangle is unfolded, the design on the triangle had been reflected eight times. 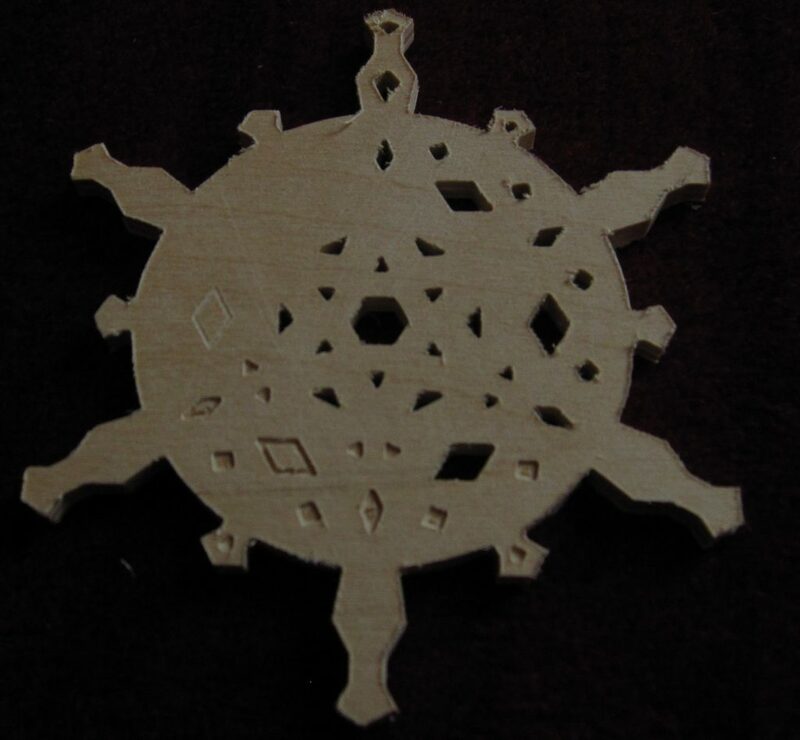 I decided to do something similar with my snowflake. I used a similar method, but made it reflect 12 times instead of eight because I like that shape more. I first made two lines starting at the origin, with an angle measure of 30 degrees. If you want to have a different number of reflections, you can change this angle measure, but make sure that 180 is evenly divisible by whatever angle measure you choose. After I made this angle, I created geometric shapes within the lines, and trimmed off all of the extra lines. After that, I selected Sketch -> Circular pattern and select all of the lines and points on the screen except for the origin. Then I clicked on the area next to center point and chose the origin as my center point. Change the amount of repeats to 180 divided by whatever your angle measure is. After the pattern was repeated, I created a small line running along one of the edges of the pinwheel that has been created. I selected Sketch -> Mirror then highlighted all of the lines and points, except for the line I just drew. I clicked on the box marked Mirror Line and selected the small line that I had made. 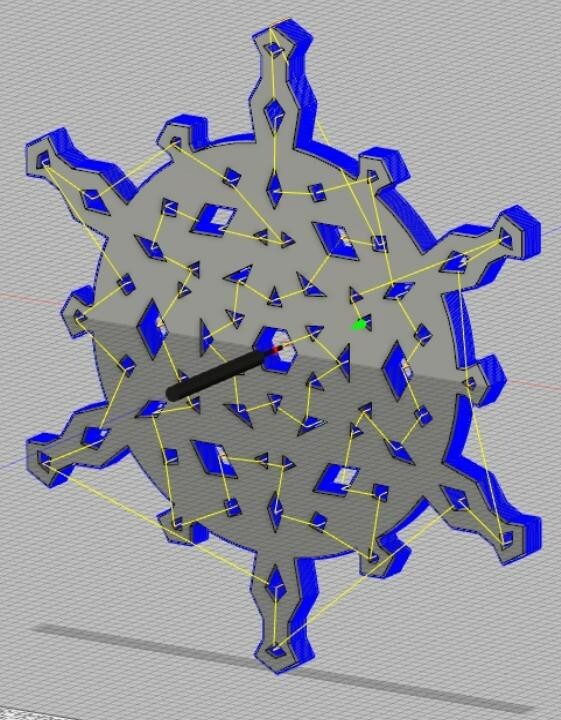 This should complete the design of the snowflake. Delete the small line you made and stop the sketch. Select Modify -> Press Pull. 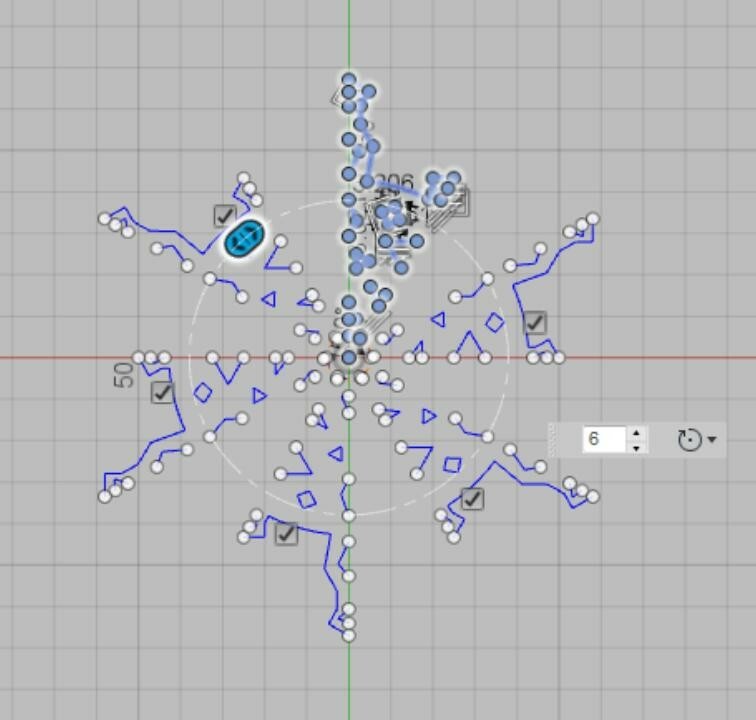 Then select the main part of the snowflake. Type in the height of the ornament. I chose to make it as thick as my material. In the Tool tab select a bit that you would like to use. Because my design has a lot of small spaces and corners, I chose to use a 1 mm flat endmill. Make sure that the speeds are slow enough so that the tip will not break. In the Geometry tab, I selected all of the shapes in the design so that they will all be done at once. 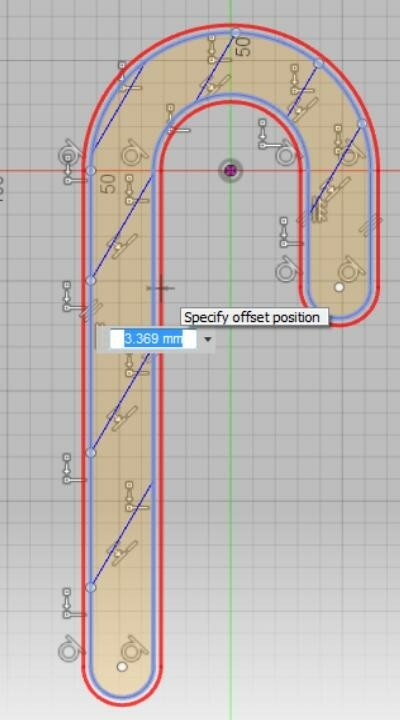 In the Passes tab, I selected Multiple depths and changed the Maximum Roughing Stepdown to 0.25 mm. When I ran this tool path, I had put the stepdown to 0.5 mm, and the tip broke, unfortunately. Final product. Because the bit broke, part of the inner triangles were only partially cut out by the remaining end. 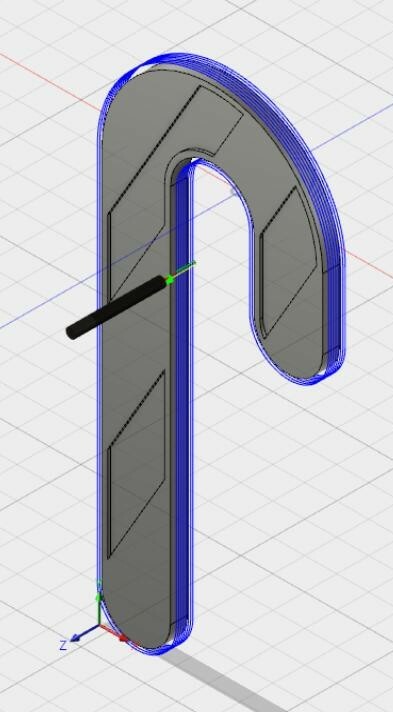 The bit broke because I was too aggressive with the depth of my cuts, and when I first input the tool into Fusion360, I did not enter the correct flute length, so the shoulder of the bit was being pressed into the wood.